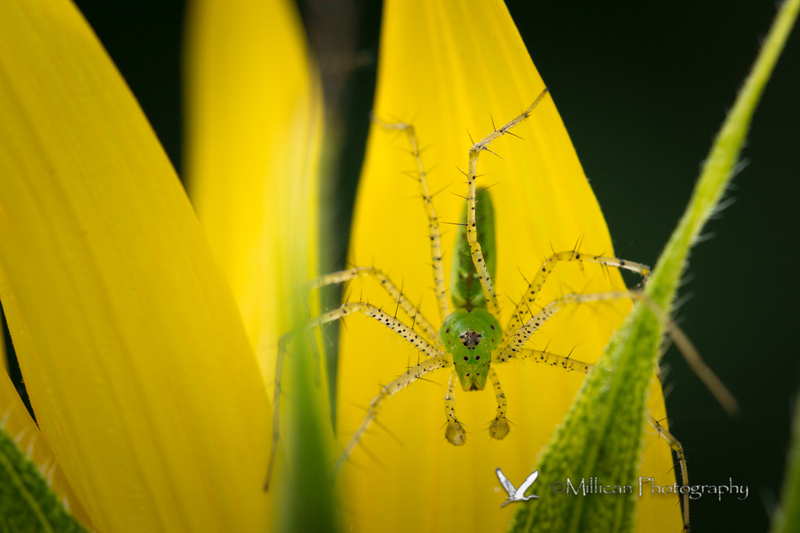 Green Lynx Spider, on the back of a Sunflower. You have to look on the back of flowers, as well as the front. Another Lynx spider, just not as green. 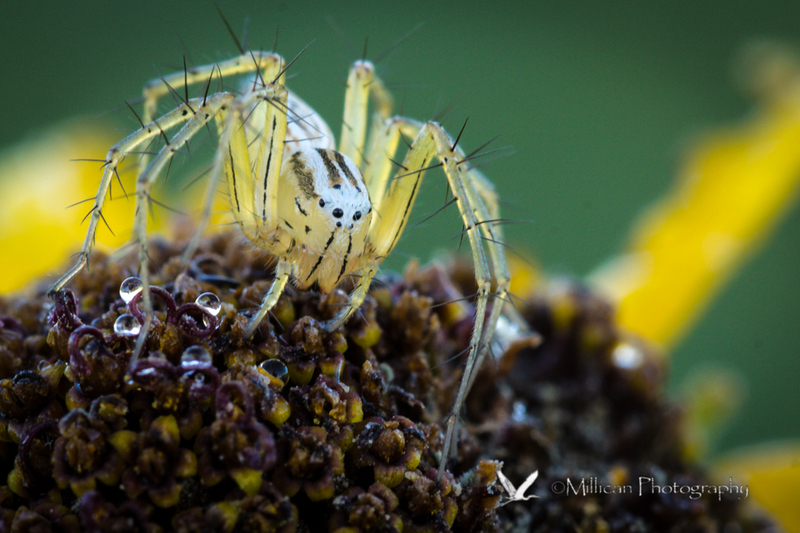 This one was on a yellow coneflower at Cherokee Prairie. This is another fly, but is really tiny. 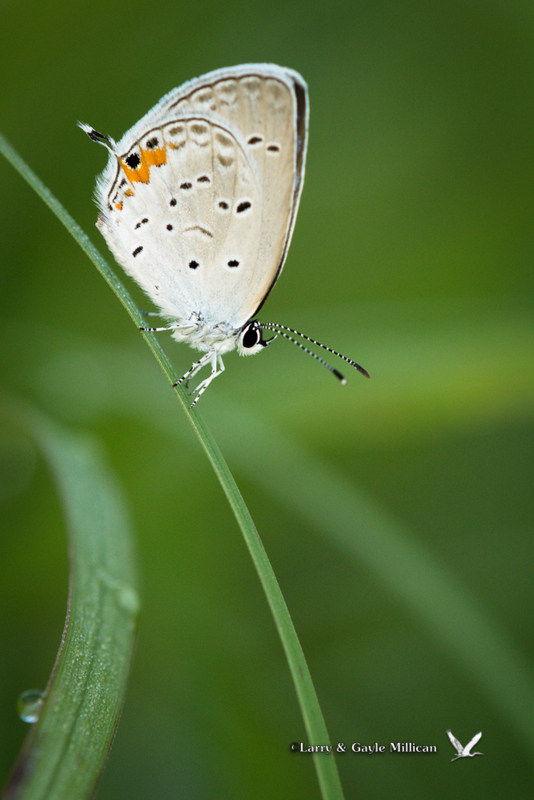 The real surprise here is the dew drop on its back, that I didn’t see until I downloaded the images. 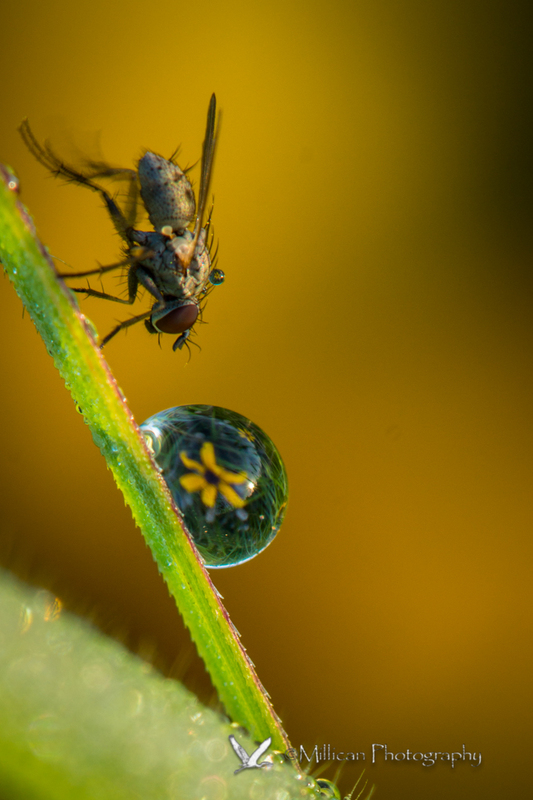 There is an image of the same flower you can see in the larger dew drop. 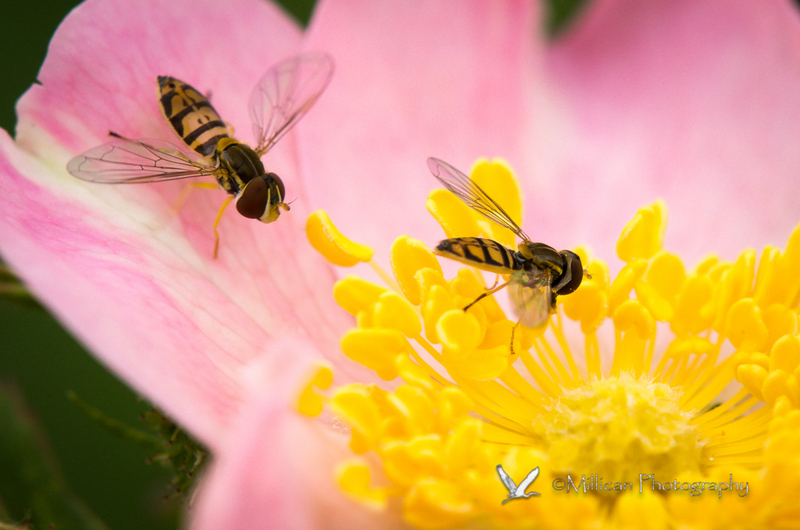 All images shot with the Sony Alpha77 and Tamron 180 macro lens, on a Manfrotto tripod and Really Right Stuff ball head.